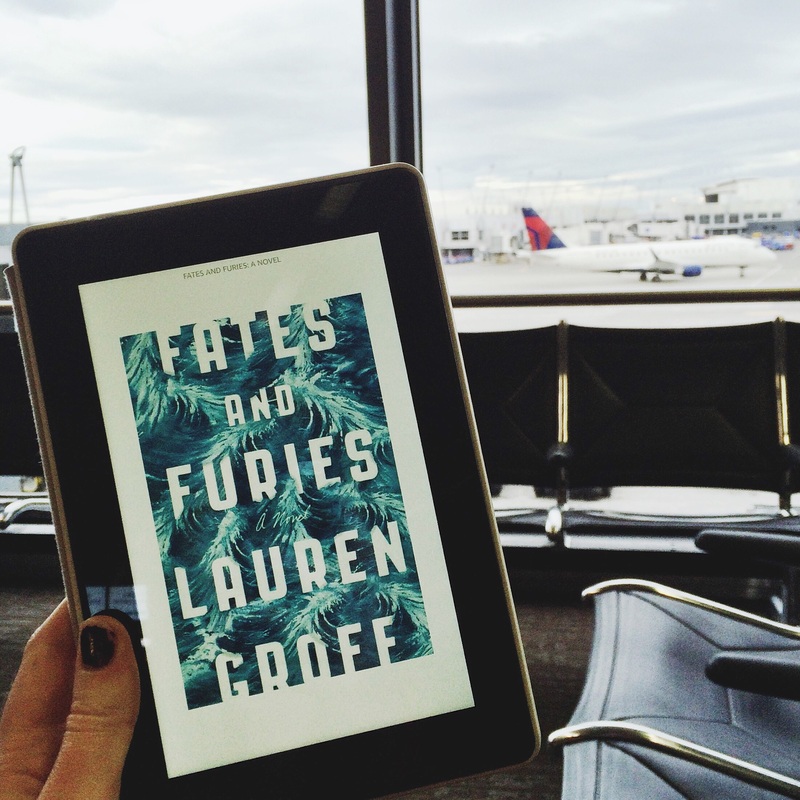 To be honest, I was expecting more from Fates and Furies: A Novel by Lauren Groff. Maybe I picked up the book with expectations that were too high, but the choppy writing and negative tone disappointed me. That isn’t to say that I didn’t like the book entirely, the story has many intriguing aspects including a look into the relationship of marriage. Fates and Furies: A Novel is split into two halves, the first told from the view of Lancelot, known as Lotto, and the second from Mathilde. Meeting when they were each 22 years old, the pair marries two weeks later to the shock of their peers and families. While Lotto is a lover and has a charisma that people are drawn to, Mathilde is a loner who had a terribly sad childhood. Despite their differences, or possibly because of them, the couple fits together well and ends up outlasting other’s expectations of a divorce. I was both frustrated and absorbed by the couple’s relationship. Lotto is arrogant and unaware while Mathilde is conniving and manipulative. It was clear from her section of the book that she plays on her husband’s weaknesses. Theirs is an interesting relationship because they love each other deeply, but each doesn’t feel that they deserve the love of the other. I was intrigued by the sense of rawness throughout the story, of uncensored humanity, including the good, bad and the ugly. It was also interesting to experience scenes from the different perspectives of the husband and wife. The idea that people view and remember the same experiences so differently is one of the reasons why I chose to read this book in the first place. Unfortunately, I had a hard time getting into the story and even when I finished, I didn’t feel like I was ever completely engaged. The story is choppy, skipping around from different perspectives and time periods, and while some characters interested me, others were dull and had me rushing through the pages. Fates and Furies: A Novel is focused on one of the most fundamental relationships of all, marriage, and I felt sad after finishing it. I’m glad to have read it, but I don’t plan on picking up another one of Groff’s books anytime soon. As a reviewer of new music for both a national magazine and my own blog, I appreciate a completely honest opinion – one that has no obvious axe to grind, but politely tells it as was read. Thank you! I try to be as honest and fair with my reviews as I can be. Thanks for the review! I put this book on my list almost immediately after I heard of it, but I hadn’t heard from anyone who had read it yet… I still think that I’ll read it down the road, but now I won’t be surprised if it doesn’t quite live up to all the hype. I think that’s a good idea, I’m glad I read it but I wish i had had different expectations going into it! Good to hear an honest opinion! Doesn’t sound like a particularly appealing book! I just read a blurb about how great it was. I think I’ll pass. Is funny the morbid curiousity thing, I read a bad review, and immediately think ‘I wouldn’t mind giving that a go, just to see!’ I think most normal people think they’ll give it a miss instead! That is interesting, but not a bad way to do it! We all have different opinions though so many it will be right up for alley! This has been on my ‘to read,’ but I’ve been hesitant to pick it up (based on the price). Thanks for your honest opinion – I think it will stay on the to be read list for a while longer. I’m so glad that you gained something from reading my reviews! I agree, sometimes it’s hard to post a disappointing review, but as long long as it’s fair and honest that’s all any author can expect. Thanks for this review! I just started reading Fates and Furies this weekend, I will let you know what I think too! I would love to hear your thoughts too! I feel like people are all across the board on this one! I struggled with this book too – as you say there were parts to admire but I found the characters hard to like or even understand. I totally agree! I didn’t understand what Groff was getting at in mAny parts. I agree with entirely. It’s so sad, this was one of my most anticipated reads and it was such a let down for me. I’m still having a hard time understanding how it was short listed for an award. I like her prose/writing style, but it didn’t come together for me in this novel. A bit too wordy/flowery and not enough substance. I absolutely agree! I feel like it was too spacey without giving any real substance for me.. I had the same experience that a lot of your readers and you, yourself had: this book was a let down. I wanted to pick it up for months, and when I finally did, the negative tone and choppiness ruined it for me. thanks for your honest review! Of course, thank you for reading and I’m glad to hear that you had a similar experience! I wanted to like it, but I just couldn’t connect. Negative is a good description of the tone too!